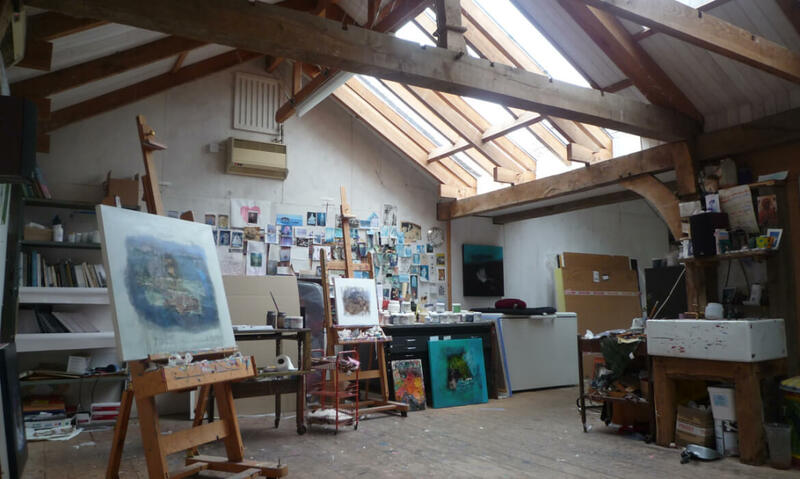 A painter’s studio with careful attention paid to light and storage. 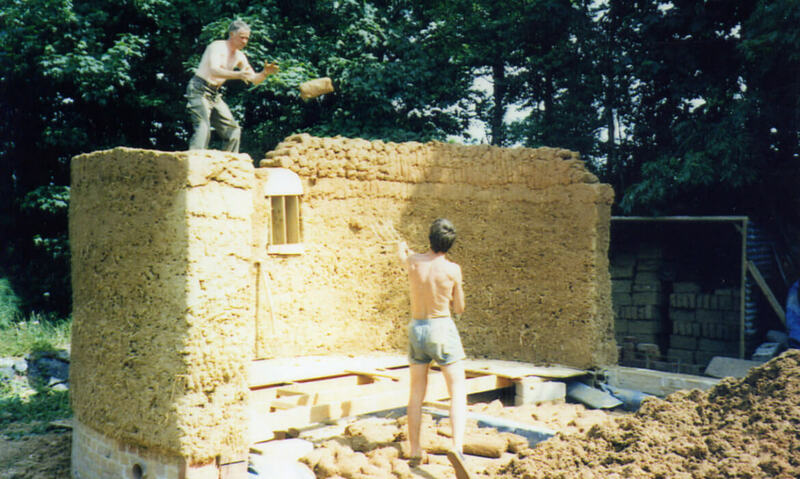 The first cob building 1997. 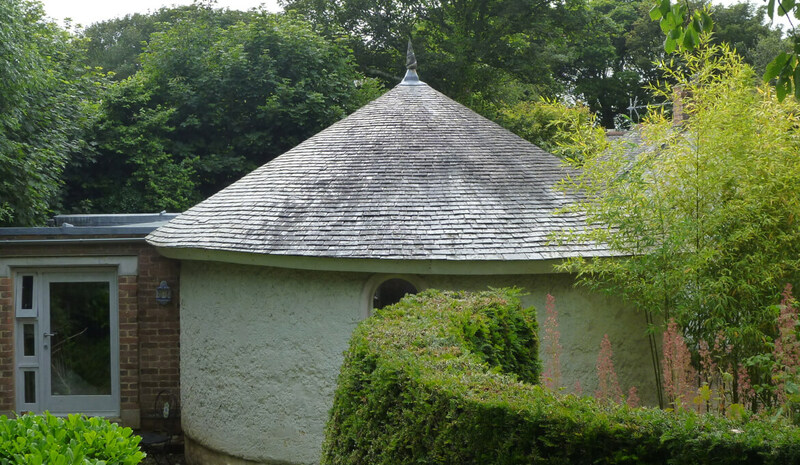 Cob walls: David Slater, Nick Ridge and Matt Robinson. Oak frame: Simon Venner and Matt Robinson. 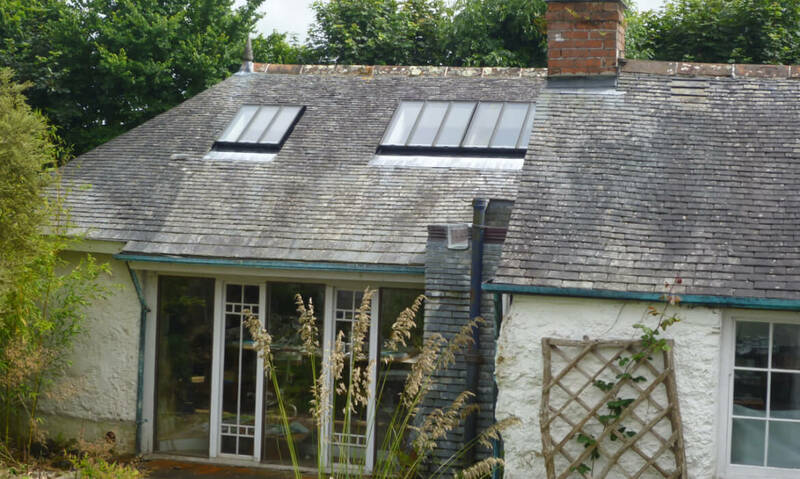 Scantle slate roof: David Nurse with cone gullitone by Matt Robinson.